Yes- play to the strengths. Here's another- we have a NYC campus. Leverage it. NYU, Cornell have hospitals in NYC. Maybe we cant just compete that easily, but why not add some of the teaching hospital to the NYC campus? We have it, lets use it. Also, lets expand the NYC campus. More classes (heck, lots of kids are a subway ride away). This can then promote internships, where kids can go to school and work in the big city part of the day. Kids with internships get jobs later on, its a fact. Then they make zillions, and dump it back into SB. I think we are silly if we dont have a presence in NYC, and let others come in and do so. Not only are we nearby, but most of our alums are within a daily commute's distance. In fact, many alums either live/work there, or both. Its one of the world's greatest cities, and St John's and Pace managed a campus there, we need to build out ours. And then, bball games at the Garden, double header women's then men's. As expected SB Basketball BPI rankings is now down to 101... They must and I mean must bounce back on Tuesday because on friday will be the real test of heart for our boys!!!! Thats a great idea.. Garden 1st choice but if not posible then I would love at the Barclay's too. Even better if can play another NYC team.. like Manhattan or Iona or Hofstra or St. Johns or Fordham etc. Another thought- it would be nice to have some sort of alternate unofficial moniker... ND has the golden domers, UVa has the wahoos, heck even Albany has the blue scoobies. A few years ago i think i said marine canines somewhere and its too long... This is all about branding. Maybe we can borrow from Washington of UConn or any team that is similarly situated. Building a brand- like the band, start getting the kids red/white striped rugby shirts and if they wear it to the game and sit in the student section, give out free snacks or something. College kids like free food. I think of Georgia tech and the bumble bee. Or something easy, like a funny hat. West Virginia they wear the coonskin cap, UMass has the colonial hat, etc. Also, as far as fans in the audience go, Texas has the hook em horns, Florida has the gator chomp. FSU has the tomahawk chop; we are penn state; ohio state dots the I; we need to come up with our own original something. I dont know what it is. Which brings me to- the athletic department MUST have a wolf statue somewhere near the Athletic Complex. And not some cheesy cartoon wolf, a real one. Hofstra has the lions near the gates of Shuart. Penn State has a lion near their locker rooms. How much can this cost? Lets say we have a rivalry with... Rhode Island. make a golden fish... or against Albany, a golden dog collar and chain, for example. Or just do a Governor's Trophy against Albany, or Buffalo. This is about building an identity- we should start now so that we dont have to ten years from now. These are low cost high reward ideas (at least, i think!). some great ideas Chairman.. I really like the rivalry games with trophy idea..especially against Albany! I hope someone from the Athletics office is reading these posts. Also like the red/white striped rugby shirts idea!! those Georgia tech fans look really cool on TV! I really like the Bowl of Bones idea. 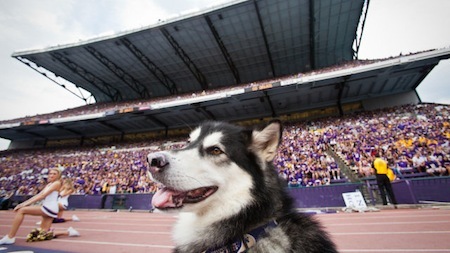 Get a giant dog bowl, with alternating stripes of scarlet, gray, purple, and gold. 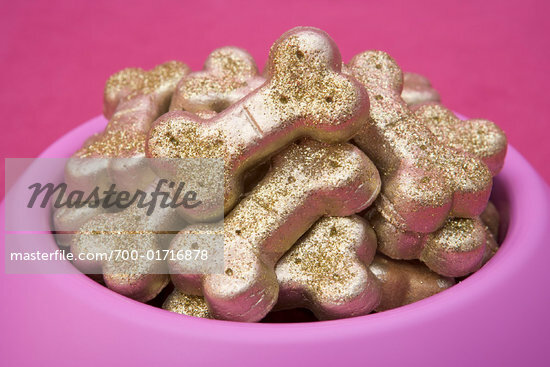 Fill it full of golden dog bones. The winner gets it in a ceremony at the end of the annual SB/UA game, presented by the CAA commish, and the players can grab the bones and parade around the field with them. Eventually to return them to the bowl, and then into a glass trophy case in their respective athletic complex. Keep that glass display case right near the football locker room. And on years when its empty, make sure the players see it every day. Thanks again, im just ranting now. Looks like you beat me to it! How about some funny fabricated latin name for the Seawolves- something to put on t-shirts, etc. Caninus Aquis. One more point... if the AD or CAA dont do anything about it, I think we fans can pull it off. We can get in touch with Albany fans and create a cheap hand made trophy (cardboard bones perhaps!! we are used to making cardboard boat for Roth regatta) and present it to the winner. It takes only one year to get it noticed; once the management finds out that both set of Fanbases like it, then I am sure they will get a proper trophy.